in SAP HANA, you can create virtual tables which point to remote tables in different data sources. With smart data access SAP HANA, you can can retrieve data from tables in external databases (e.g. 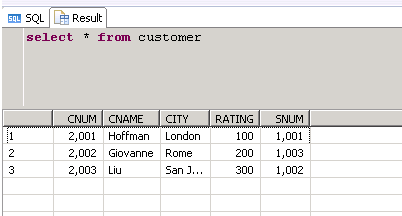 Sybase, Oracle or SAP HANA). 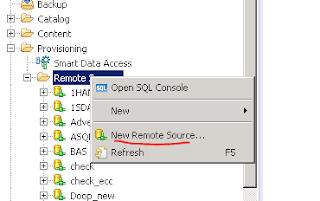 This reduced the need to load all accessed data into SAP HANA. 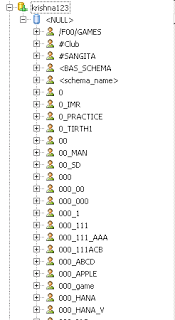 Here we can give the all details like Server name and Port number and Our database Credentials. If connection is Established then we will see the below message. 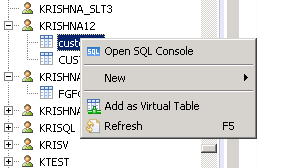 open SQL CONSOLE write the query.